Everyone likes drag. Well, maybe not everyone, but it’s certainly been having a mainstream moment lately, so it’s safe to assume more people like drag than ever before. 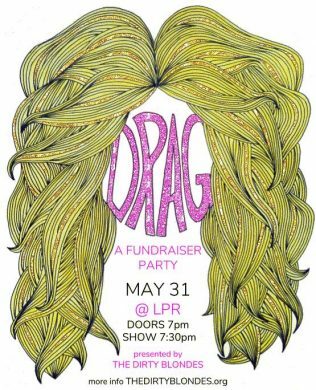 If you’d like to see some drag, there are many places you can go in the city, but tonight you can specifically go to Le Poisson Rouge, where an array of colorful performers such as Bear Lee Legal, Glace Chase, Chris Tyler, Dynasty, and Donald C. Shorter Jr will be giving shows, shows, shows to help raise money for feminist theater company The Dirty Blondes. The show’s Facebook event proclaims “bodies will dance, drinks will flow and gender norms will be smashed,” which sounds like a recipe for a nice night to me. And yes, I know Drag Race is also tonight, but you can just watch it later. Normally, literature and science are seen as two separate things. But at this month’s edition of book-themed comedy show Literati, the two shall comedically collide as part of the Underground Science Festival. 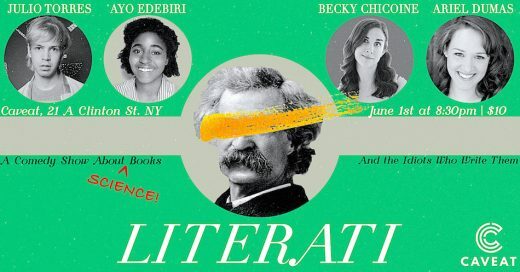 Typically, Literati features comedians in character doing readings of alleged books, and this time is no different, aside from the fact that all the books will be about science. The lineup for the evening appropriately features Emmy-winning Bill Nye The Science Guy writer Lynn Brunelle, plus SNL writer Julio Torres and comedians Ariel Dumas and Ayo Edebiri. Get ready to snicker scientifically. There will be people putting their own unique spin on Shakespeare plays, for better or worse, until the world ends. Which, for all we know, may be sooner than we think. Until then, we’re faced with a choice: Should I attend this play? Will it be good, or will it just be pretentious and self-important? 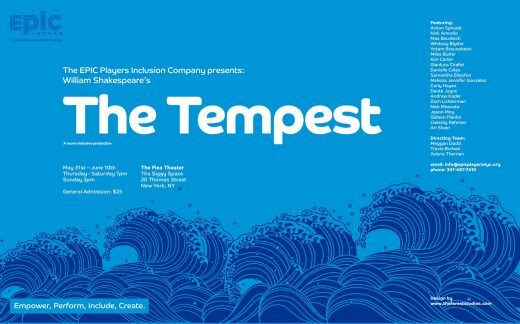 While many modern Shakespeare productions fall into the latter category, the EPIC Players’s version of The Tempest stands out in a way that feels genuinely notable. The theater company centers neurodivergent performers, such as people with autism and other developmental disabilities. Such casting not only works to give tangible representation to marginalized groups (whose roles are often given to neurotypical, able-bodied actors instead), but also adds a new layer to Shakespeare’s story of manipulation and sorcery. Animals are usually not allowed at comedy shows, though I did hear about a “dog-friendly comedy show” happening recently, so you truly never know. While there won’t be any actual four-legged creatures at Animal Show, a night of stand-up and more hosted by Maya Sharma, Justin Linville, and David Steele, you will surely hear at least four jokes from the likes of Fareeha Khan, Blair Dawson, Dash Turner, JR Strauss, Mac Edgerly, and Travis Swinford. The show’s been lauded for its warm, community-centered vibes, so even if you’re going alone, you probably will not feel that awkward.